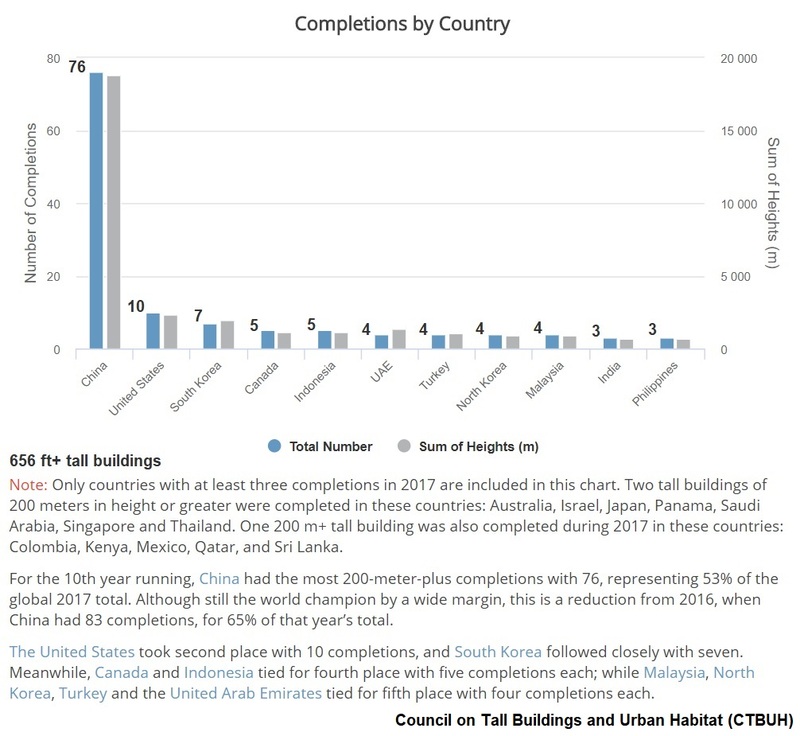 The Council on Tall Buildings and Urban Habitat (CTBUH) reports that 2017 was a record-setting year for tall buildings. In 2017 there were 144 skyscrapers completed of 200 meters (656 feet) or taller. 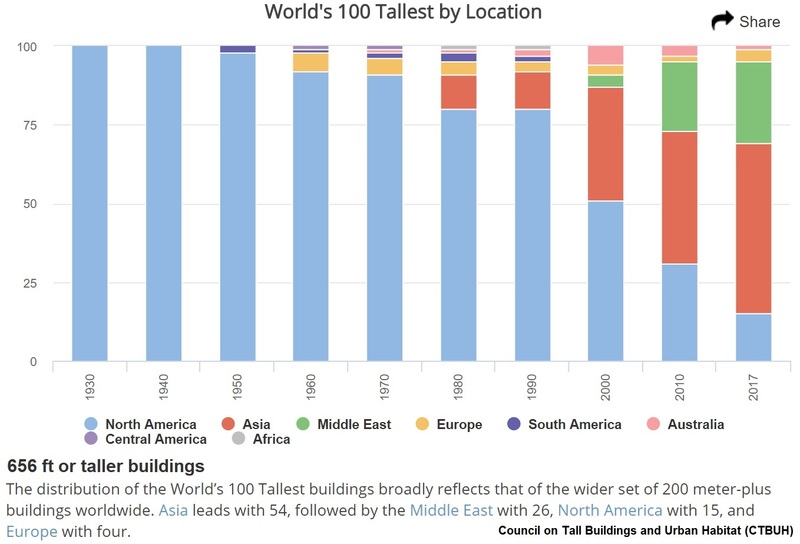 Asia had 75.7 percent of these skyscrapers. 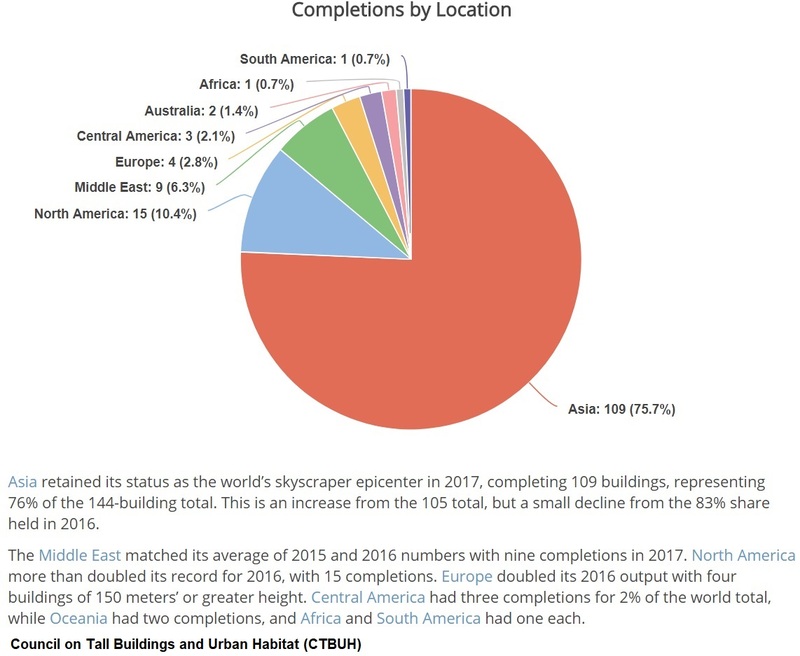 China had the most skyscrapers completed in 2017. 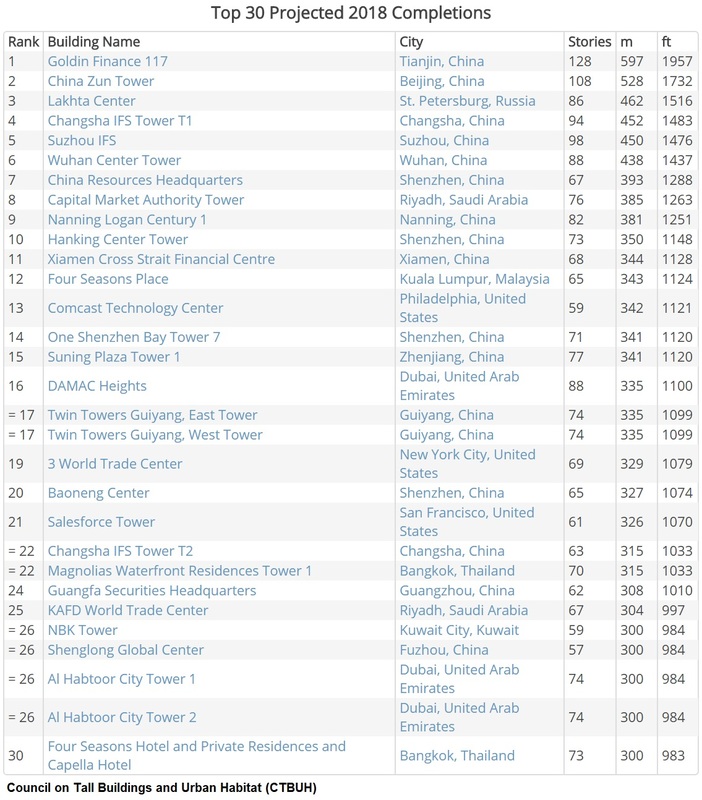 The tallest completed last year was China’s Ping An Finance Center at 1965 ft (599 m) tall, now the world’s second tallest building. 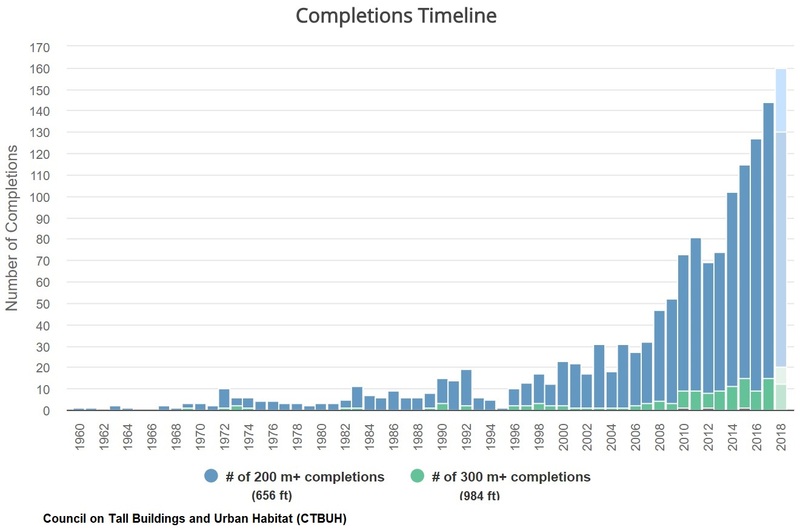 There were 15 supertall skyscrapers of 984 ft+ (300m+) built in 2017. Click images below to enlarge. Click your return arrow to return to this topic. 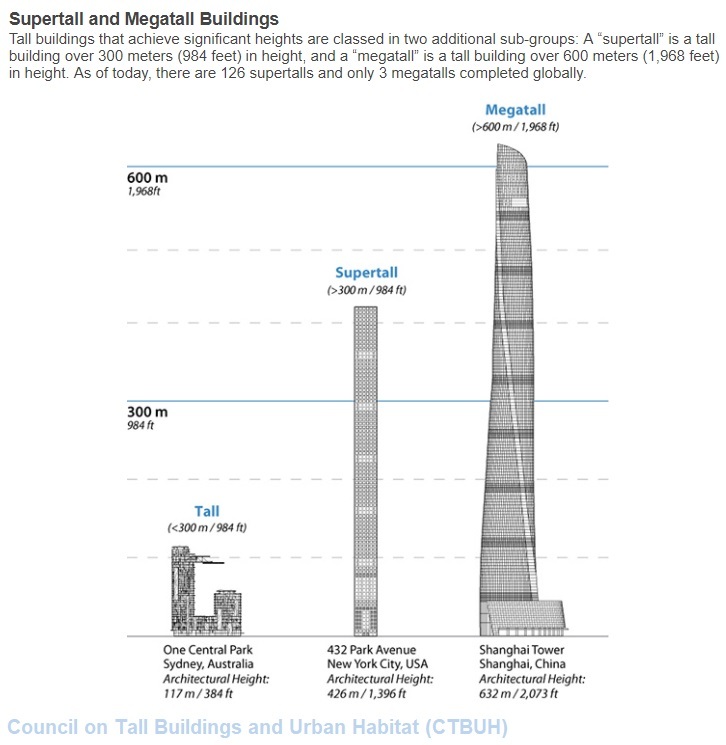 See complete details on how tall buildings are measured.